With all the rain the past few days you would have thought that local rivers would have been blown out, not so. The Vedder River was up this morning but still quite fishable for the annual Vedder River Steelhead Derby. 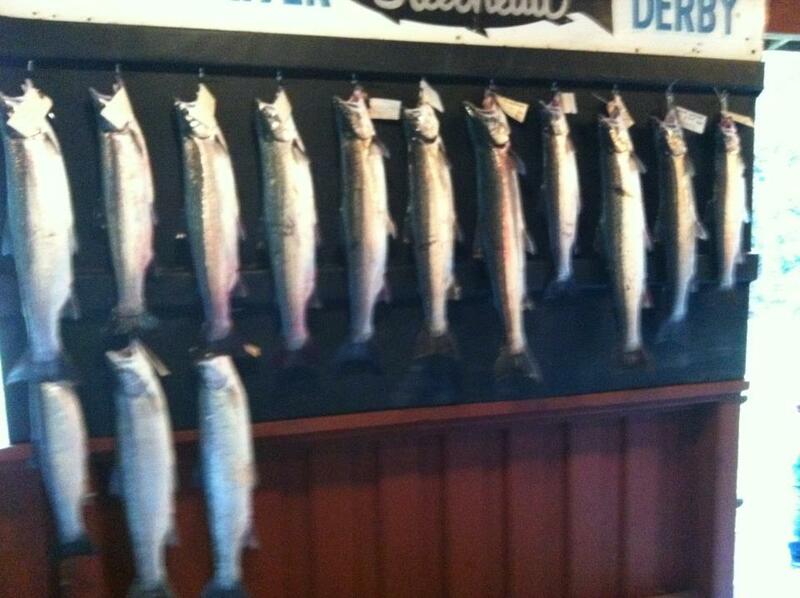 Weigh in was at 2pm, 14 steelhead were entered with largest being 13.8lbs. 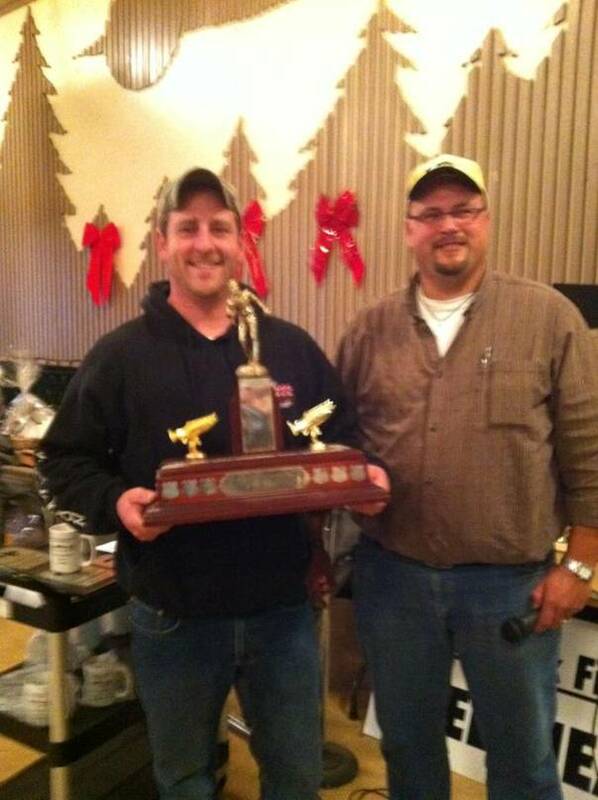 STS Guide Thomas Rutschmann placed 2cd out of 400 anglers, great job Thomas. STS Guide Thomas with Trophy for 2cd place in Vedder Steelhead. Looks like a few fish are moving into the Vedder but 14 fish in this derby is not that great. Hopefully we will see some good pushes of fish over the next few weeks and look forward to some good fishing in January. The Fraser River looks to be in great shape, not ,many boats out on the water but we did hear that sturgeon fishing has been pretty good. 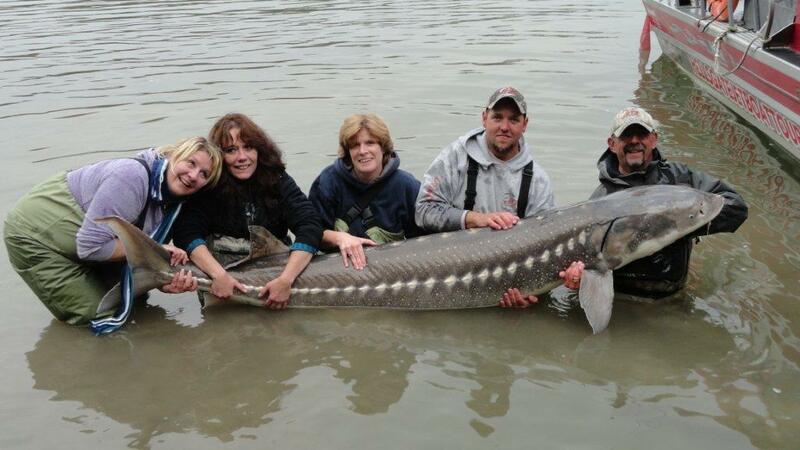 With such mild weather it does not surprise me that sturgeons are still actively feeding. Just about any salmon bait would work this time of year so just be patient and wait them out. Come join us for the first run of the new year. We are planning a jet boat run for Jan 8, 2012 to bring in the new year. The run is a just a casual run with family and friends, anyone is welcome to join us with their own boats. I think we are going to run from Mission to Harrison Hot Springs but will probably make the final decision in the morning with drivers after checking weather, wind etc. We will probably stop along the way and light a fire on a beach, maybe shoot some clays as well. Will be departing from Mission around 9am. let me know if you are coming so we have an idea on number of boats. We would suggest that all boats be jet boats as we might see some shallow water spots along the way. We are heading skiing for a few days so please drive safely over the New Years weekend.